Just about where the Throgs Neck Bridge is today was once a bustling beach area (see the photo below). To the far right in the shot is the Soundview Swimming Pool, which was just near the end of Utopia Parkway. Just to the left of that looks like the old Rudolph Valentino house/Terrace on the Green restaurant building, (still standing today). Next to that is probably a hotel but I do not yet know the name. The beach is Clearview Beach, the photo was taken in 1935. The Cross Island Parkway runs right through where the pool and hotel stood. Little Bay is to the left. To the far right is the Terrace on the Green building. 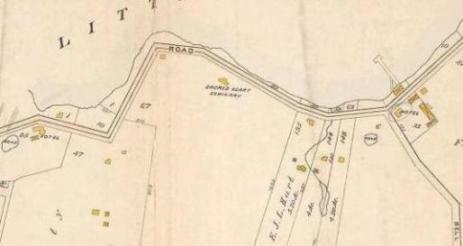 Less than a mile further up on Willet’s Point Road, at the corner of Willets and Bell Avenue (on the right hand side of the map below) from as early as the 1870s until at least the 1930s, was Garrison’s Hotel. A walk across the road and you could go boating or take a swim at the busy beach. 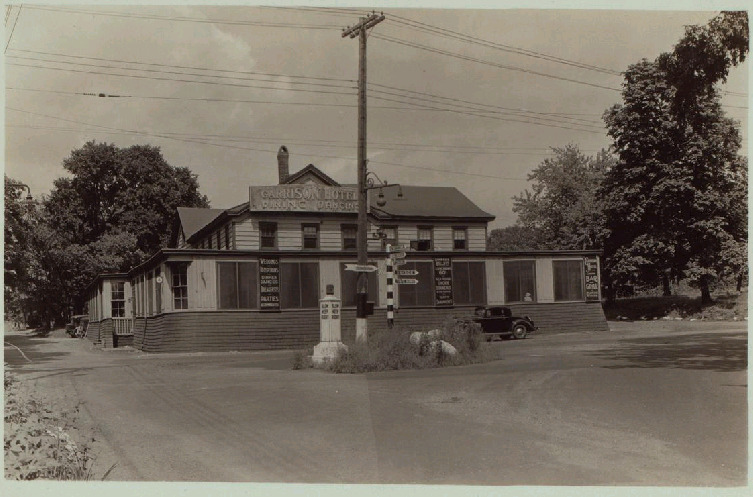 From the 1935 photo above you can see Little Bay Ave going straight ahead into Fort Totten. I zoomed in on the photo below to try to get a better look at the signage. From the 1935 shot, you can make out an arrow pointing down Bell to Bayside and one below it that says “something … Rockaway.” Going the other way, down Willet’s Point, you can make out arrows for Whitestone, New York City, and Flushing. 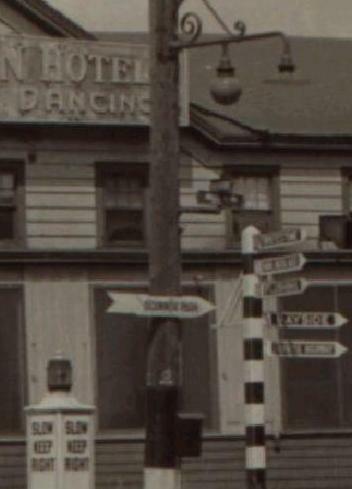 Over on the light post is a sign that might say OCONNOR ROOM (I have no idea what that is). Above it is a street sign and although I can’t really make out the words, I am guessing that it says Bell Avenue and Willets Point Road. 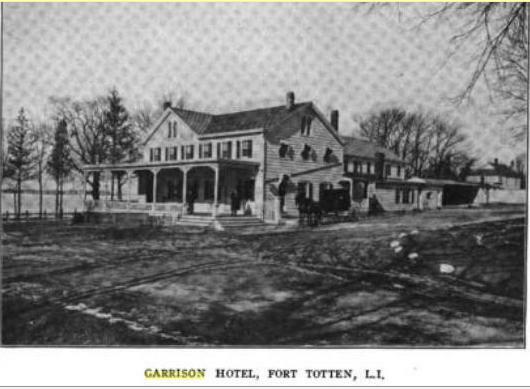 Location where Garrison’s roughly once stood. I can’t view the photos. Something has changed since I first posted – I am working on getting the photos back to the pages.